If you’ve been brambling and have an armful of scratches and only a small bowl of blackberries to show for your efforts, this is a good way of getting your own back. Tangy and fruity with a touch of warm spice, this sauce would work well with duck breasts, lamb or venison as well as the pork chops I plumped for. I used whole spices, not ground, because I didn’t want the sauce to go cloudy. You can play around with the spices to suit your own tastes – try adding star anise, half a cinnamon stick or if you like them (I don’t) a couple of cloves. They shouldn’t overpower the blackberries, just add a little warmth. Thanks to Jo and Joe for the inspiration. 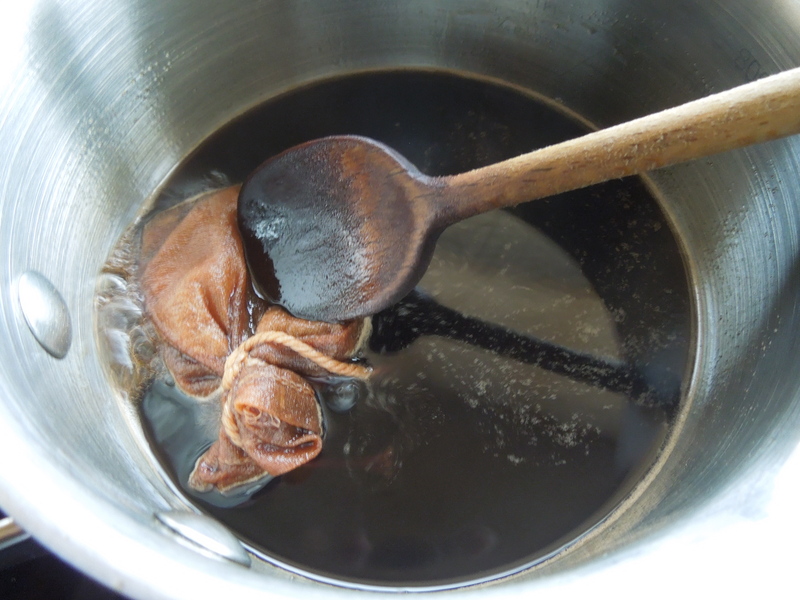 Put the allspice berries and ginger into a spice bag (or tie into a square of muslin) and put in a pan with the remaining sauce ingredients, except for the blackberries. Heat gently, stirring, until the sugar has dissolved. Bring to a simmer and cook very gently for 5-10 minutes, then remove from the heat, cover and allow to infuse. Just before you want to eat, take out the spice bag, add the blackberries and heat through gently until they have softened but are still whole. 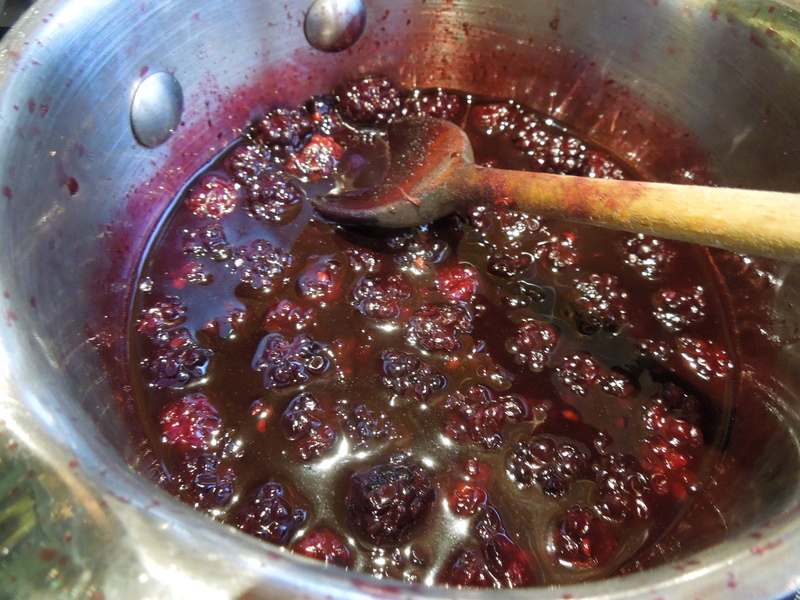 Remove the fruit with a slotted spoon, reduce the liquid until it’s slightly syrupy but not jammy, then add the blackberries back in and keep warm. Trim the pork chops to your taste, season well then grill, barbecue or pan-fry until they’re cooked through but still juicy. Allow to rest for at least five minutes. 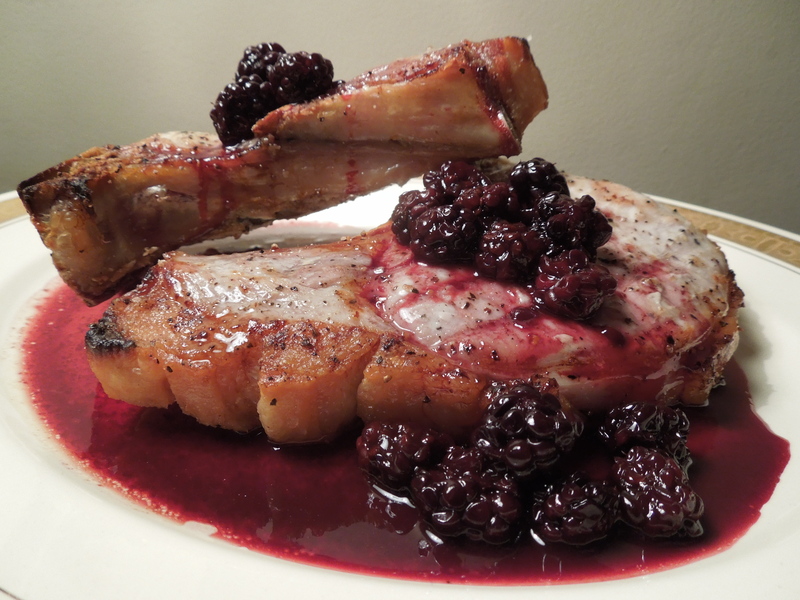 Plate up the chops and spoon the warm blackberry sauce over the top. Serve with the veg of your choice. 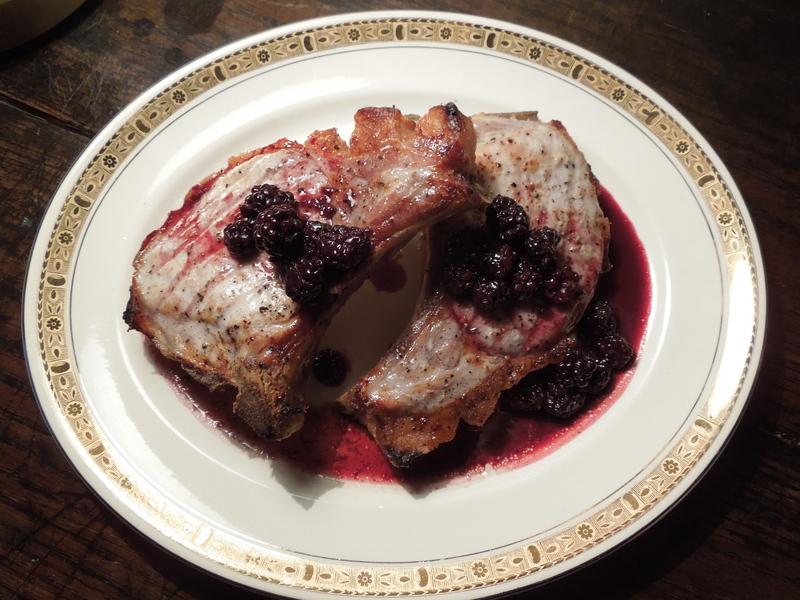 This entry was posted in Fruit, In the garden, Mains, Pork, ham and bacon, Sauces and tagged blackberry sauce for meat, pork chops with pickled blackberries, pork chops with spiced blackberries, spiced blackberry sauce by Linda Duffin. Bookmark the permalink. Looks like a nice combination; I will bookmark it for post-holiday autumnalness. And you also managed to photograph the blackberry sauce without it looking like a scene from Casualty, unlike when I tried last year. 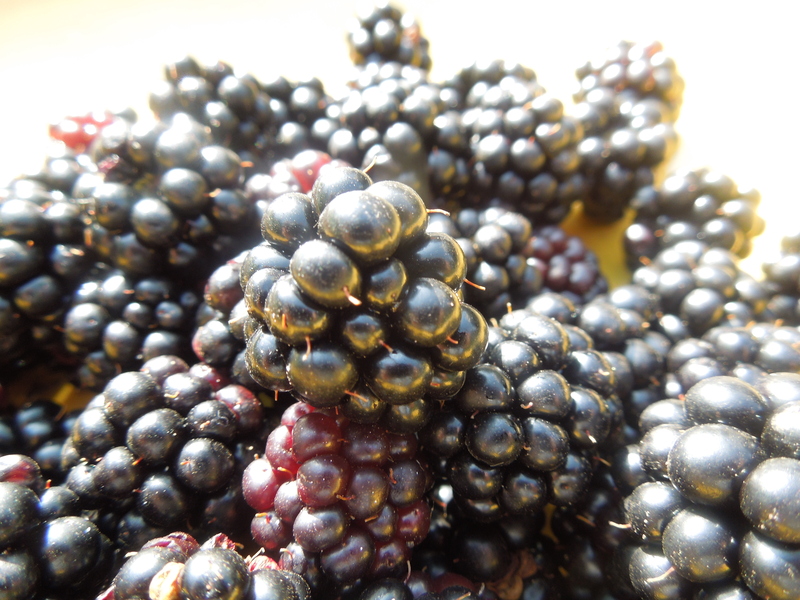 Thank you – the blackberries seem to be early this year but coming in dribs and drabs. Re Casualty, you didn’t see the first version where I took my eye off the pan. It looked more like something from Backdraft – The Day After. With duck, yes, but with the addition of star anise, I think.I’ll reduce it a little more next time before I put the blackberries back in so it clings to the meat better, but I was erring on the side of caution as I’d turned my back on the first batch and inadvertently sacrificed it to the Stove Gods.